First Bout of the Season! ARRRRRRRGH! 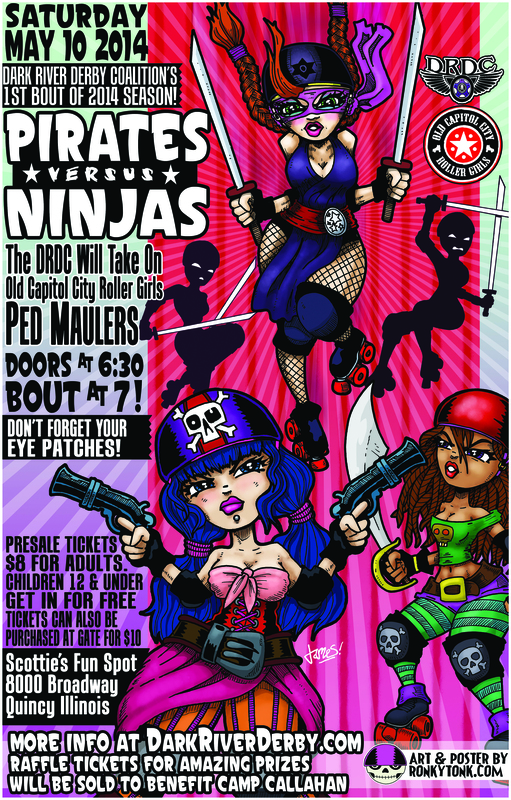 The Dark River Derby Coalition will take on The Old Capitol City Roller Girls Ped Maulers for the 1st bout of the 2014 season! Don’t forget your eye patches and stealth weapons to fend off the onslaught of buccaneers and silent assassins! Who will be the victor?! 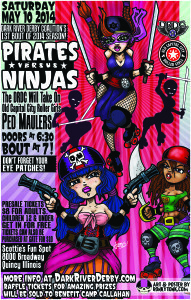 Tickets can be purchased in advance from any of the lovely ladies of the DRDC or at Scotties Fun Spot for $8 (for adults). Children 12 and under get in for free. Tickets can also be purchased at the gate for $10. Previous PostPrevious The DRDC becomes a WFTDA apprentice league!